Designed as the fourth plate in the BudBuilt Stage 2 Armor Systems. 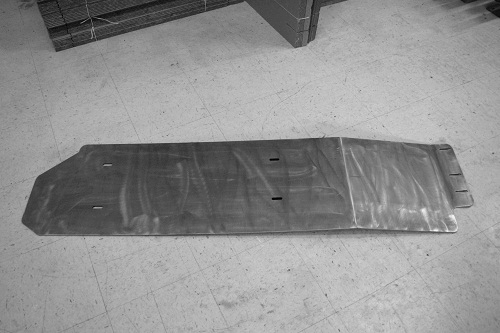 BudBuilt Skid Plates are simply the most well engineered armor components available. Protects the fuel tank from punctures, making it easy to slide over obstacles. Constructed from pure American, LASER cut, and CNC press brake formed steel and aluminum. We will never use lower grade Chinese or Indian raw materials to protect your vehicle's expensive underbelly.